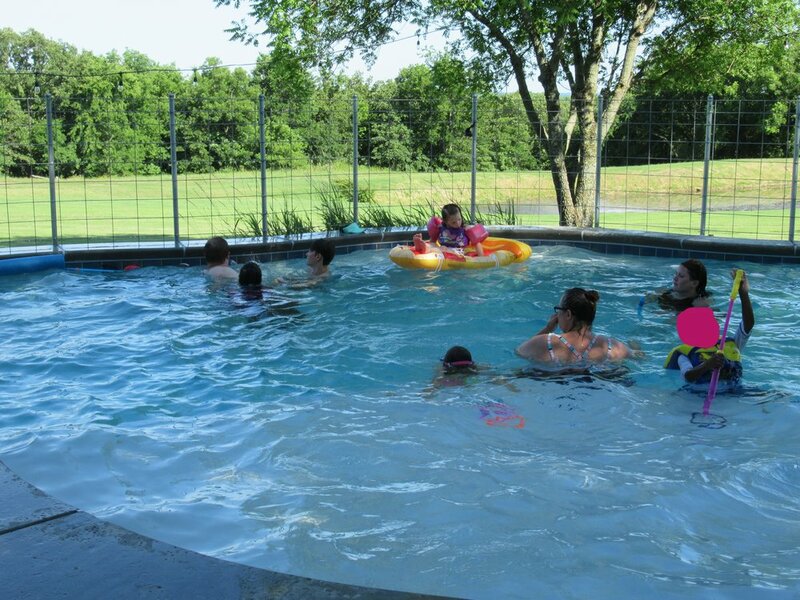 On Saturday, June 23rd, a group of us drove over to Haskell to the Rushmores’ house to swim and spend time together! The Ableys, the Lambs, the Hayes, the Kuruvillas, and our intern Ashley were all there. We got there at 2:00, and immediately got into the pool because it was a super hot day. We had a fun time and we even got to enjoy some yummy watermelon and other types of snacks! The kids played together on a huge pizza floatie and dove down to the bottom of the pool to retrieve their diving rings. A couple of people even went down to the pond and went on the paddle boat! It was super fun to spend time together and enjoy each other’s company. It’s cool to see the kids interacting with each other and interacting with the adults as well! We also want to give a shout out to the Rushmores for graciously allowing us to come to their house to swim! They are awesome and we appreciate them so much!